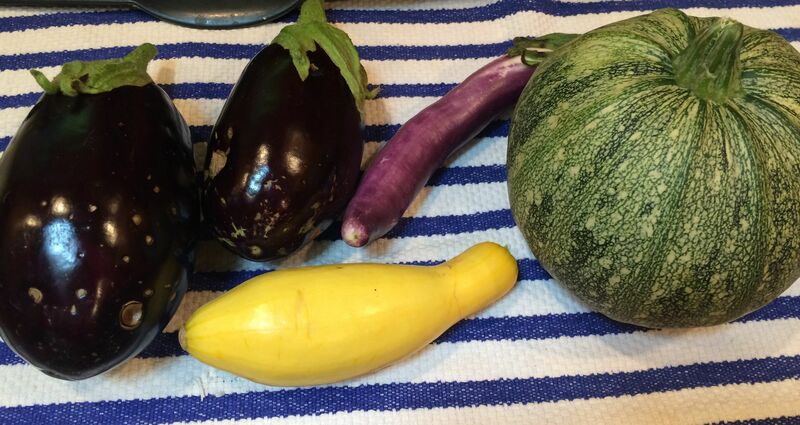 Veggies, Seeds, Special Events, and Classes! VEGGIES, SEEDS, SPECIAL EVENTS, & CLASSES! So many opportunities this spring! 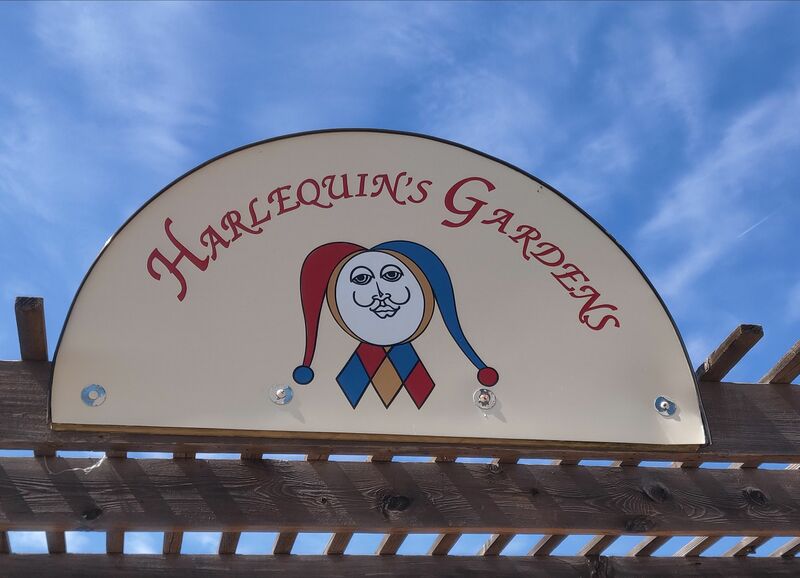 Harlequin’s Gardens offers a lot of exceptional and unusual varieties of veggies that you won’t find anywhere else! Our selection of cool-season veggies continues to expand daily as do our perennials. There are many veggies, including onions, leeks, Asian greens, bok choy, and heading type of brassicas (broccoli, cauliflower, cabbage) that will yield larger and better results if they are planted sooner, rather than later in the season. (Eve with Graffiti Cauliflower, right.) See our website for many of our veggie descriptions. This is also the best time to get many types of seeds in the ground. Our collection of Botanical Interests, Seed Savers, and Beauty Beyond Belief seeds contain many interesting and heirloom varieties for you to try. If you’re unsure about the best ways to approach veggie gardening, or want to expand your knowledge, we have two classes this weekend that will be of great help. 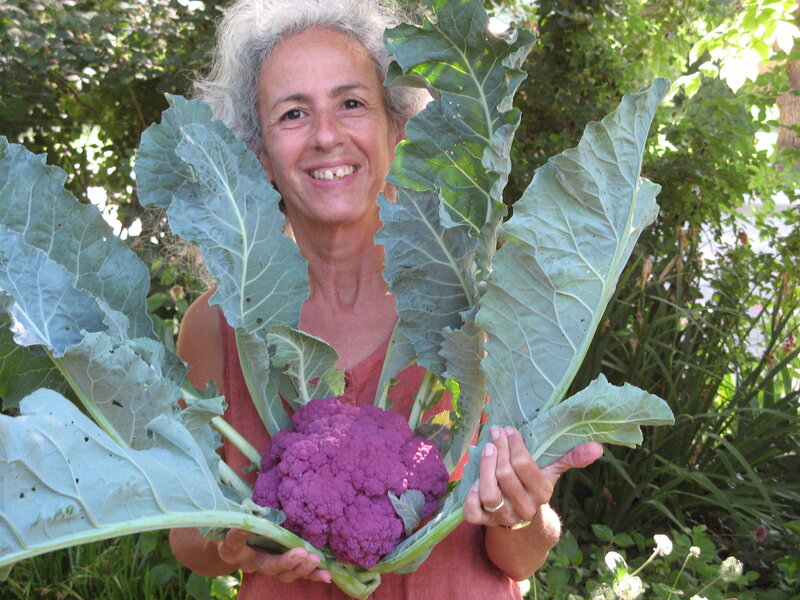 On Saturday at 10 AM, our own Mimi Yanus will guide you in her popular “Getting Started in Veggie Gardening” class. Then, at 1:00, Tracy Parrish follows with her “Succession Planting” class where you’ll learn how to maximize your garden space and keep your veggie garden in continual production. On Sunday at 1:00, Mikl will share how you can have a successful lawn without using toxic chemicals in his “Organic Lawn Care” class. See below for more details and call 303-939-9403 to reserve your seat! As of April 1 we’re now OPEN DAILY from 9 AM to 5 PM, and until 6 PM on Thursdays. … will be arriving late next week! This year we will have German Butterball, Kennebec, Mountain Rose, and Purple Majesty selections. See our website for descriptions! and others, and. . . including poetry, music and other forms of cultural invigoration and mutual appreciation. Conviviality! Conversation! Door prizes! Radical neighborliness! Who knew?! Something is afoot! AHA! For more information contact woody@slowmoney.org. Have you dreamt of starting your own backyard vineyard? Our friend, John Martin of Stonebridge Farm, will be teaching an introductory class this Sunday, April 7, from 1:00-4:00 at Stonebridge Farm. To attend email John Martin. Interested, but not able to attend? Come to John’s Sunday, April 28 class at Harlequin’s Gardens: GROWING GRAPES ON THE FRONT RANGE at 1 PM. In this class John will present an overview of varieties suitable for this region, considerations for site location, trellising options, pest protection measures, and a brush across two basic pruning techniques. Call 303-939-9403 to register. Our weekends are loaded with great classes you won’t want to miss! Our customers tell us that our classes have given them tremendous value, with practical and current information from local experts who have spent years honing their skills in Colorado and will help guide you to success. We are charging $15 (unless otherwise stated) for our classes to support our speakers and Harlequin’s educational direction. It is best to pre-register for these classes both in case they fill up, or too few people register and we have to cancel. Pre-payment assures your place in the class. 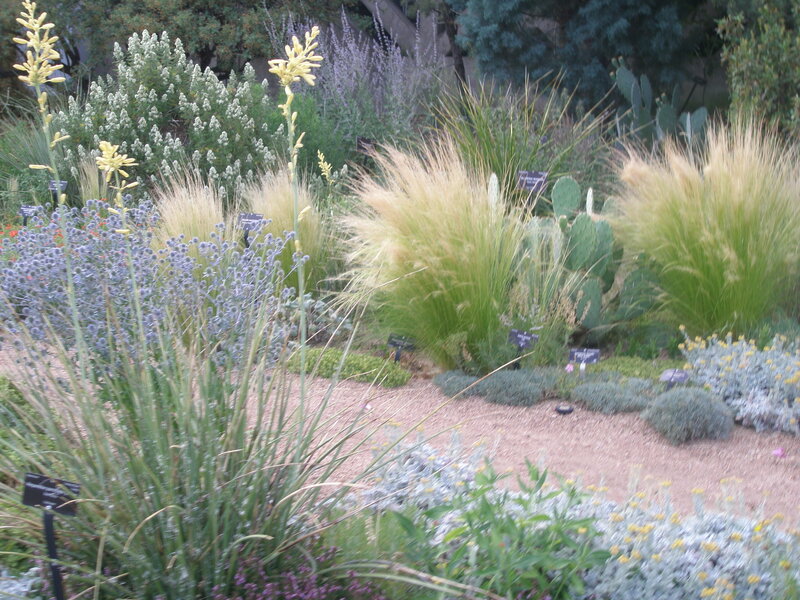 You can register at the nursery, by mail, or by calling 303-939-9403. We are unable to take class registration by email at this time. Most of our classes run from one-and-a-half to two hours in length, and sometimes longer for hands-on classes, or if there are a large number of questions. See the complete March Class listing below, or on our website.